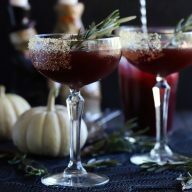 I can’t seem to help continually begin drawn back to classic cocktails from my grandparents’ era. I suppose it’s because I love the nostalgia that comes along with a long, cool sip. 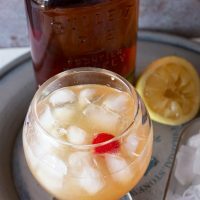 I will admit, whiskey sours are not my favorite of the classic cocktails. I blame it on way too many nights spent with Jameson until the wee hours in the morning in my early20s. 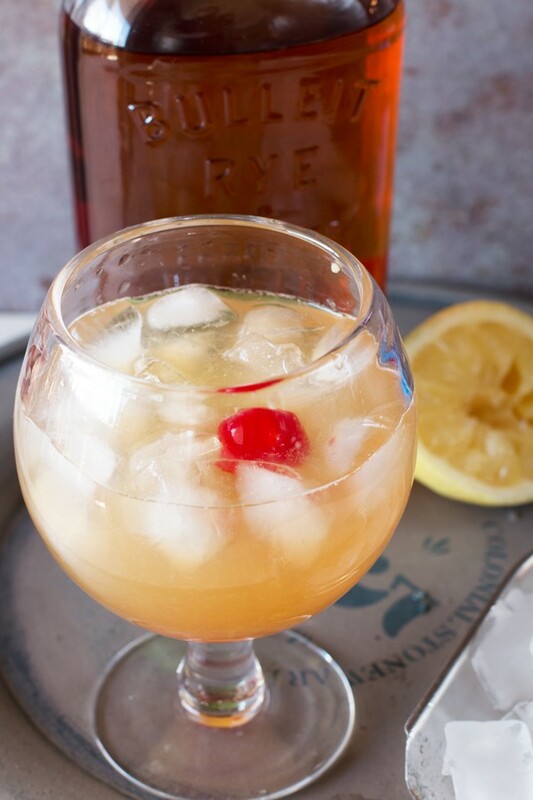 Thankfully I am coming back around to whiskeys after some years have past and I have grown particularly fond of my sparkling version of a whiskey sour. Can you hear the bubbles fizzing with that drop of an ice cube? 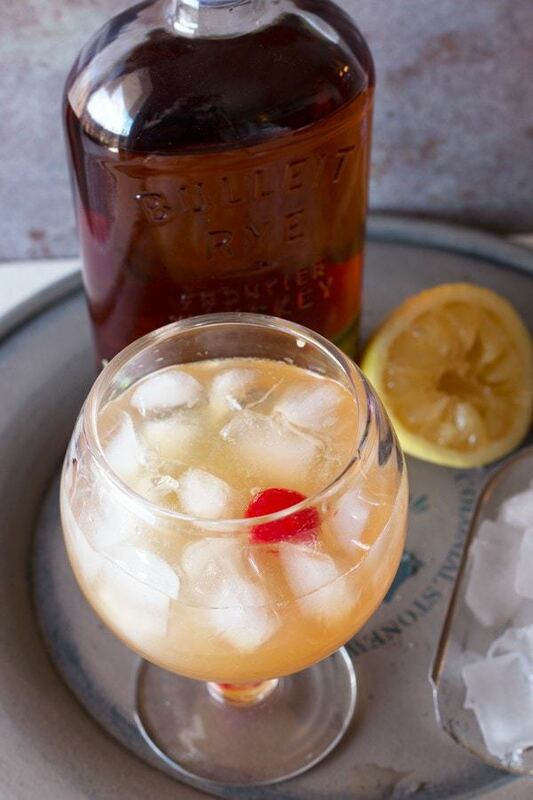 This version of a whiskey sour is a little bit sweeter with the use of rye whiskey and the swap of honey for traditional sugar. 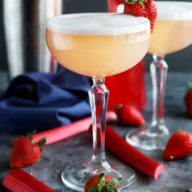 The strength of the drink and the sour tinge at the end of each sip are still strong in this version – you’re nose will just enjoy an extra tickle of bubbles and the bite of the whiskey becomes a little smoother. I am sure I will be pouring myself a few of these bad boys during the Super Bowl this year! 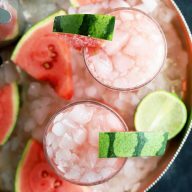 A slightly sweeter and smoother version of the classic cocktail. 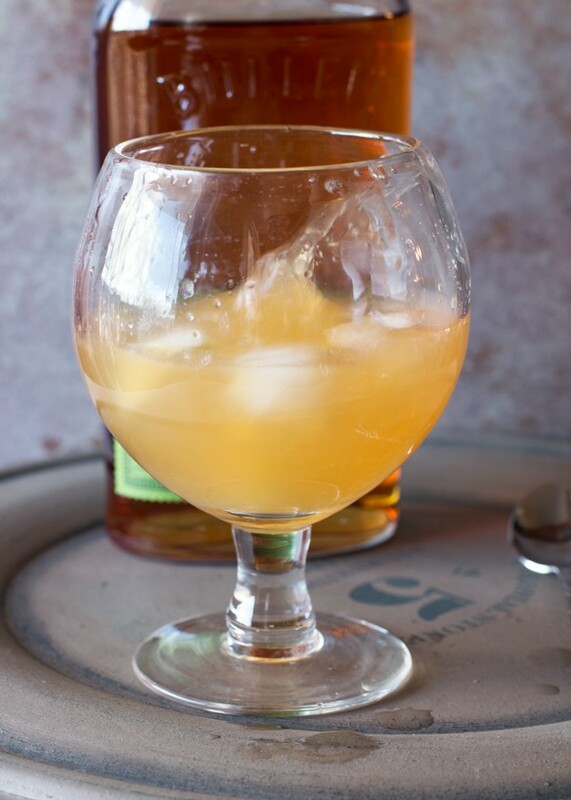 In a shaker filled with ice, shake the whiskey, lemon juice, and honey. Strain into a glass filled with ice and top with club soda. Garnish with a Maraschino cherry. 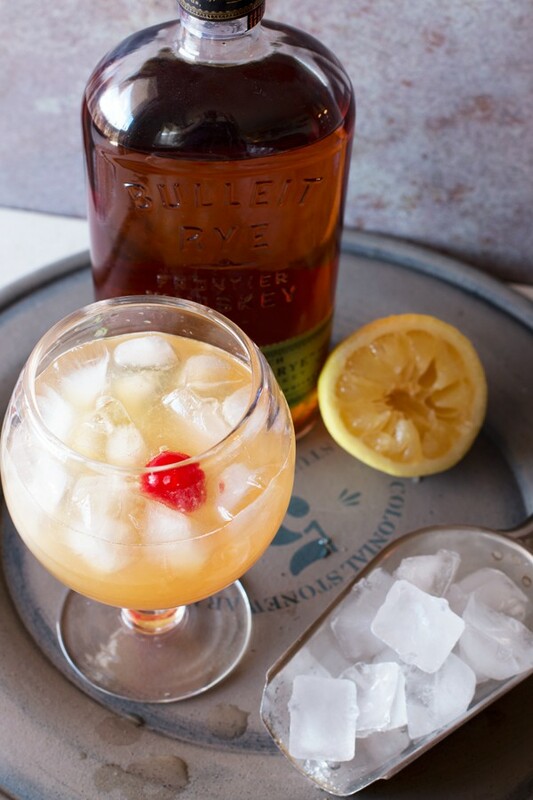 I picked up a bottle of this very Rye for my husband recently and it’s been so long since we’ve had a whiskey sour…love the sparkle component! Cheers! Hopefully it warms up where you are quickly! !